'If you anger us, you will see us!' warns ED - nothing angers him more than losing elections, watch out! President Emerson Mnangagwa, nicknamed "Ngwena" (Crocodile) is out doing what crocodile do best, shed a river of deceptive tears. "Let's show humility in Zanu PF and respect. Our respect and calmness should, however, not be regarded as weakness, if you anger us, you will see us, when things come to a head, you will see that we are not cheap people. When things are bad, we will be equal to the challenge. 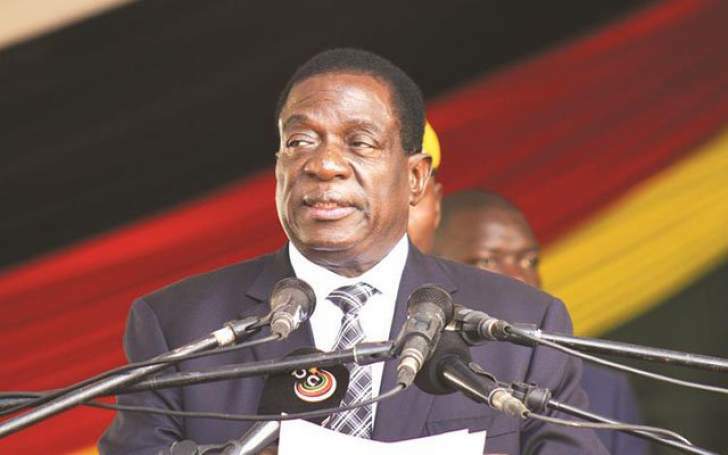 Do not start it with us," threatened President Mnangagwa. He said this in response to allegations that two Zanu PF supporters were attacked by MDC supporters in Bikita East. "I had to send my car to ferry the two to (Silveira Mission) hospital and also paid for their X-rays. They were beaten by unprovoked MDC-T members. Their crime was just putting on the regalia of their beloved Zanu PF party, which is a party of their choice," said aspiring Zanu PF Bikita East MP, Johnson Madhuku. No one would deny that MDC-T supporters are capable of "unprovoked" violence but one would have to be really naïve to believe that Zanu PF supporters are themselves as innocent as new born lamb in such cases! The solution here is simple and straight forward; Mr Johnson Madhuku should report the incident to the Police, ZEC and all the other relevant authorities. It is the statutory duty of the Police to investigate, arrest and bring before a Court of Law all those breaking the laws of the land for whatever selfish reasons. The only reason the Police have failed to keep the peace, ZEC has failed to deliver free, fair and credible elections, etc. is because these state institutions have all been corrupted and co-opted to become departments of Zanu PF in all but name. Instead of the Police investigating cases of politically motivated violence in a non-partisan way without fear or favour they turned a blind eye to Zanu PF lawlessness in the selfish pursuit of the party's no regime change agenda. Former Police Commissioner, Augustine Chihuru, has publicly admitted in his doctoral thesis that "the greatest policing challenge in Zimbabwe was stopping agents of regime change!" Zanu PF's political modus operandi was to strip its political critics and opponents of all their freedoms and human rights; cloak them in the agents of regime change regalia and then set party thugs backed by the state machinery to punish these enemies of the state as they see fit! If President Mnangagwa was sincere in his pledge to have free, fair and credible elections then he should have agreed to the implementation of the democratic reforms designed to severe the undemocratic influence Zanu PF has over the Police, ZEC, etc. He has refused to implement any reforms and has, instead, insisted in all political parties signing a code of conduct baring the use of violence. It is the political parties themselves who will monitor and enforce the code of conduct as they see fit and are capable. There lies the nub of the matter, President Mnangagwa has made it very clear Zanu PF will descent on those who attack its members like a tonne of bricks. What makes it totally unacceptable is that the others will never be able to do the same even if it is a clear-cut case that Zanu PF members broke the peace! There will be peaceful elections as long as Zanu PF is confident its other vote rigging schemes are delivering the electoral victory. If things are not going its way Zanu PF "will be equal to the challenge," as President Mnangagwa has so aptly put it. There will be innumerable stories of the big bad wolf upstream punishing the lambs downstream for mudding his drinking water! President Mnangagwa is yet to name the date the political parties will meet and sign the code of conduct. To President Mnangagwa, the code of conduct has become the excuse for refusing to implement the democratic forms, a stick with which to thrash his political opponents with and get away with it because the Police or any other statutory body will be allowed to investigate any incidence. "Where is the evidence Zanu PF supporters instigated the violence?" he will ask with a straight face – the epitome of a crocodile shedding rivers of tears! The proposed code of conduct is just another example of Zanu PF openly giving with the right hand and making a big song and dance about it whilst stealing away even more with the left hand. There is nothing of value to the opposition parties and the nation at large in this code of conduct. The real challenge here is for the nation to demand the implementation of the democratic reforms before any elections and refuse to be mollified with all these stupid and meaningless codes of conduct. These elections must be declared null and void because Zanu PF is blatantly rigging the vote and using the threat of escalating the violence if it does not win.